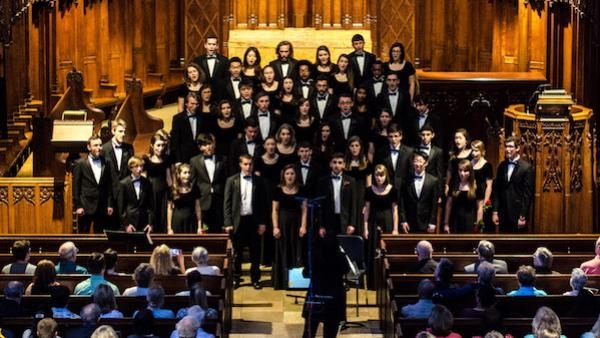 HCC's spring concert is called Tuneful Turning and explores music set to texts that embrace analogy, inviting listeners to use their imaginations as well as their ears. The central work in the performance is John Corigliano's Fern Hill, a lyrical setting of the well-known Dylan Thomas poem and an unusual challenge for HCC, as it's accompanied by string quartet and harp. All other repertoire, including pieces by Eriks Esenvalds, Daniel Elder, William Billings, Giovanni Palestrina, and C. V. Stanford, are a cappella.